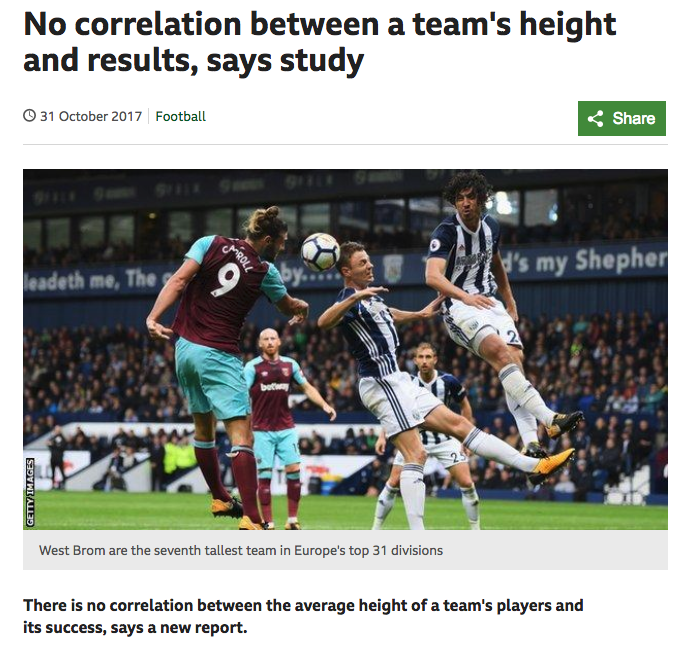 This BBC study is a big one boys, but I wonder if this will promote the idea that society is in general heightist in sports and the professional world overall. This is study done about Football. Could this be extended to all sports? Jose Altuve is the best batter in Baseball at just 5'6. Shouldn't that be telling?